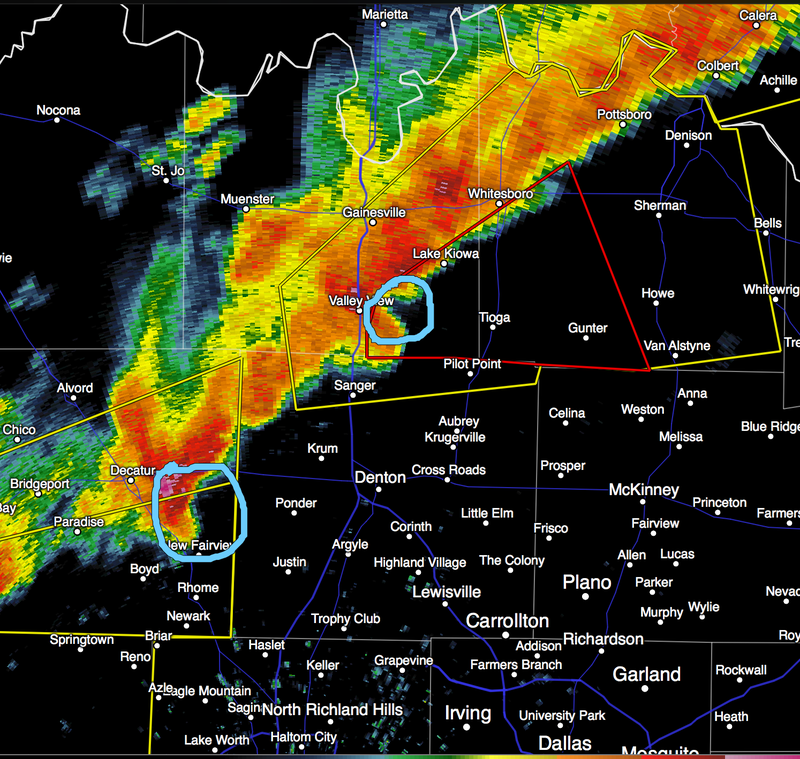 The red polygon is a new tornado warning for north Texas. 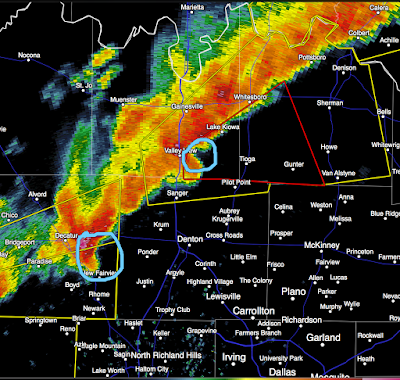 I've circled the storm ENE of Valley View for which the tornado warning (red polygon) has been issued. I am also concerned about he storm west of Denton.